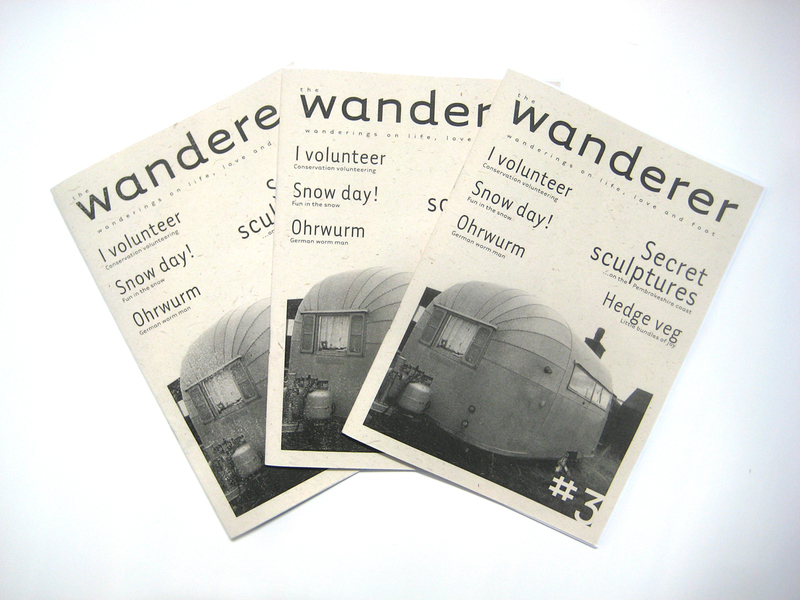 I design, write, illustrate and photograph an occasional fanzine called The Wanderer. It’s loosely based on the theme of walking but it has an irreverent, idiosyncratic approach. It’s kind of an antidote to walking articles about expensive kit and the very male concept of ‘bagging’ mountain tops. The Wanderer is much more about walking as an intellectual pursuit; a time to be free of the clutter of modern life. It also gives me a chance to rant about the things I’m passionate about! 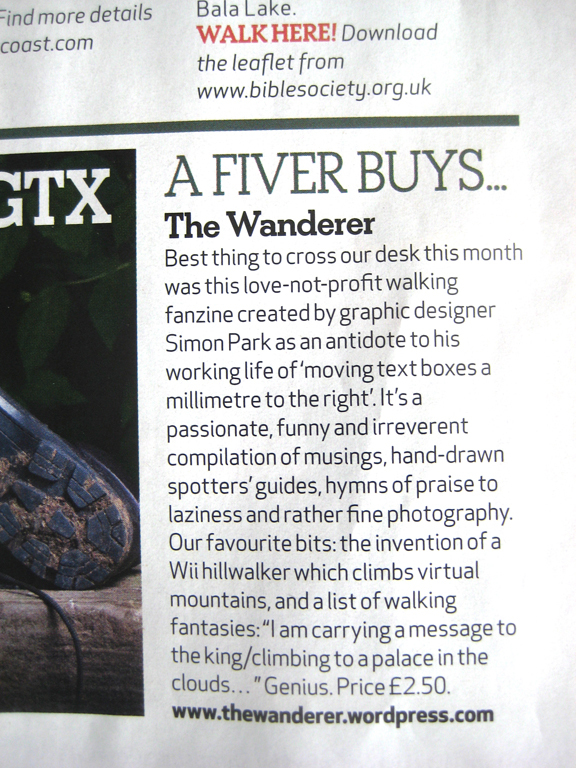 Country Walking magazine published a glowing review of The Wanderer, calling it the ‘best thing to cross our desk this month’.